Marvin Bauermeister, 90, of Fort Wayne passed away on Sunday, July 15, 2018. 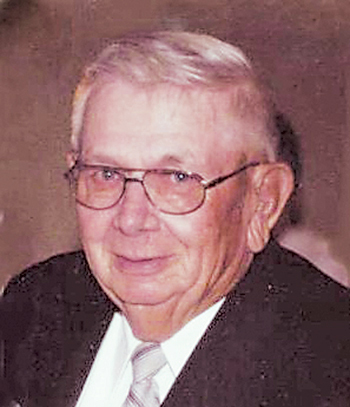 He was born on December 31, 1927 in Ossian, a son of the late August and Lora (Bieberich) Bauermeister. 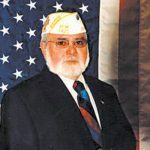 He served in the Army during World War II in Japan. He owned his own fuel business before retiring in 2004 at the age of 78 for National Oil. He was a member at Mount Calvary Lutheran Church and American Legion Post 241. He enjoyed pulling weeds, gardening, and fishing trips to Minnesota. He will be remembered as a man that was mechanically inclined his very generous heart, and his love for his grand and great grandchildren. Surviving family include his step-daughters, Kim Brant and Tammy Sprague; grandchildren, Megan (David) Lindelien and Billy King; great grandchildren, Blaine, Harper, and Winslow Lindelien; siblings, Lorene Rekeweg, Eldora Behning, and Ralph (Hildegard) Bauermeister; and numerous nieces and nephews. Besides his parents, he was preceded in passing by his wife, Betty (Smith) Bauermeister. Funeral service will be 5:30 pm on Friday, July 20, 2018 at Elzey-Patterson-Rodak Home for Funerals, 6810 Old Trail Rd., Fort Wayne with visitation one hour prior. Memorials may be made to Mount Calvary Lutheran Church. Condolences may be left online at www.elzey-patterson-rodakfuneralhome.com.